We are deeply saddened at the loss of our mother, Edna, who gently passed away at home on August 23, 2018 at the age of 93. 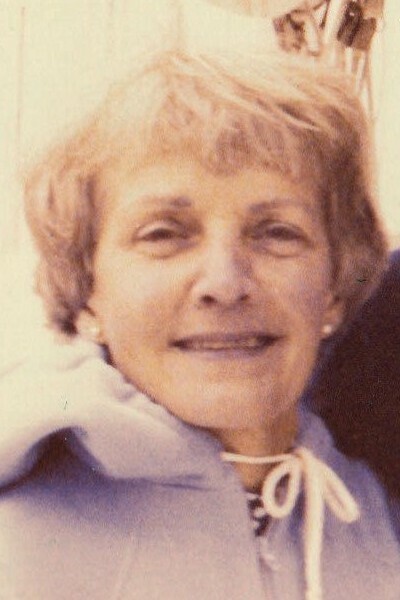 She is predeceased by her husband, Chapin, and is survived by her son Brian, daughter Susan, her sisters Jean and Joan, her brother Ray and many other relatives in England. Born in Niagara Falls, Ontario, Edna lived there until the age of 12 when her family moved to England. Edna’s dream was to become a nurse and, in 1942, entered the nursing program at Edinburgh City Hospital where she obtained her Registered Fever Nurse qualification allowing her to undertake the nursing of infectious diseases. From 1945 to 1948, she studied at Sefton General Hospital in Liverpool where she obtained her general Registered Nurse qualification. She loved every minute of it. Nursing was a perfect fit for her kind, gentle and compassionate nature. While nursing in southern England, Edna met and married Chapin, a Canadian doctor undertaking surgical training in England. Sometime later they returned to Canada, settling in Langley, B.C., raising a family and becoming actively involved in the community. Over the years, with several moves to the U.S. and back to Vancouver, Edna touched the lives of many people who regarded her with great respect for her warmth, graciousness and quiet dignity. Edna enjoyed travelling, swimming and sailing the west coast of BC. She was a committed volunteer involved at many levels with hospital and children’s charities, family and youth services, and other community and sailing events. She enjoyed the outdoors and loved animals, especially her dogs. Edna will be deeply missed and lovingly remembered for her gentleness, love of family and her compassion and concern for the welfare of others. A Celebration of Life will be held at the Royal Vancouver Yacht Club, 3811 Point Grey Road, Vancouver, on September 28, 2018 at 12:30 p.m. In lieu of flowers, please consider a donation to Doctors Without Borders or a charity of your choice.